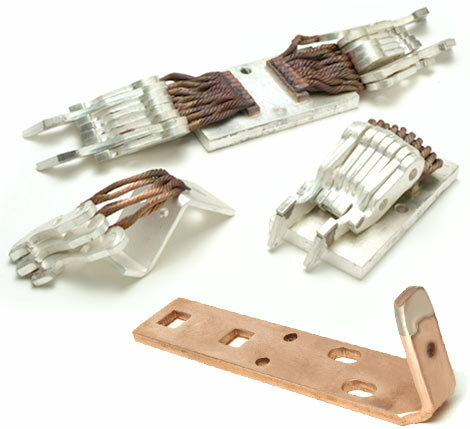 CTI is a world-class manufacturer of refractory metal electrical contact assemblies. CTI services all the major electrical Original Equipment Manufacturers of industrial breakers, switchgears, motors, and instruments. Contacts can be supplied as discrete components, but for many of today's applications, customers are increasingly relying on CTI to provide brazed contact assemblies. Advantages for purchasing your contacts already brazed, machined, and in some cases plated, include lower inventory cost for the component parts, less administrative work in purchasing and accounting, less demand on quality assurance and inspection departments, and the confidence of knowing that a contact material specialist attached the tips. Contact supports, such as springs, stampings, castings, forgings, or extrusions, are supplied by the customer, sourced by CTI, or produced internally by CTI. CTI attaches the engineered contact tips using resistance, furnace, or induction brazing operations.Typically, furnace brazing stationary contact assemblies is cost-effective and provides consistent joint properties. Our quality standard for braze joints is to achieve 70% minimum bond area and a complete fillet around the perimeter of the braze joint. CTI provides plating of the assembly as required. 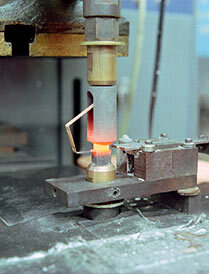 Contact Tips are Attached Using Brazing Processes. 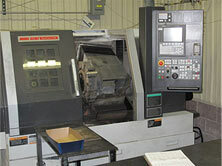 Assemblies are Engineered and Produced at Contact Technologies.